If you recently upgraded to Windows 7 from XP then you may not find it easy to use. The start menu is entirely different from XP start menu but similar to Vista start menu. Well, if you aren’t comfortable with the Windows 7 start menu then you can get the XP start menu in Windows 7 using CSMenu. It’s not the exact one but it’s more or less the same. 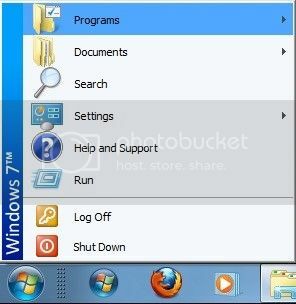 CSMenu is a small application that brings the classic start menu in Windows 7. It’s designed for Windows 7, which doesn’t have a classic start menu.